This paper is prompted by a commitment to two beliefs about the work we do. First, I believe that the teaching of writing should not be separated from the teaching of reading--in more general terms, that the practice of rhetorical production cannot be disentangled from the discursive practice of rhetorical response. Second, and more particularly, I believe that how a written text functions, its influence, effects, or consequences--more generally, the social function of a rhetorical act--is determined more by responses of those who receive it than by the intentions that produced it. I first articulated these beliefs in print some time ago, and would now like to use this occasion to sketch the shape of a pedagogy for the teaching of writing that draws upon theories of rhetorical criticism derived from the work of Kenneth Burke. Specifically, I want to examine the resources inherent in his notion of identification for providing us with ways to prepare students to use writing and reading to participate constructively in a wide variety of discursive interactions. Burke offers identification as the "key" term in what he calls the "new rhetoric" and focuses his theoretical attention there rather than on "persuasion," the key term of the what he describes as the "old" ("Rhetoric--Old and New"). He formalized this focus first in 1950, in the introduction to A Rhetoric of Motives, having witnessed the contentious first half of the 20th century that culminated in the Nazi holocaust and the invention of nuclear warfare. Given that context, its not surprising that the position Burke took here relative to the rhetorical tradition and, particularly, to its tradition of rhetorical criticism, was both revisionist and utopian. Having concluded that the purposes of "invective, eristic, polemic" that lend propel the project of rhetorical exchange as traditionally theorized and practiced are no longer tenable--he describes the fulfillment of these as the act of the "kill," Burke begins a 333 page attempt to offer a survivable alternative. And while he ends his introduction to the Rhetoric with the claim that he does not "flatter" himself "that any one book can contribute much to counteract the torrents of ill will into which so many of our contemporaries have so avidly and sanctimoniously plunged" (xv), the transformed version of rhetorical practice he recommends in the pages that follow seems to aspire to do exactly that. Burke's conception of a rhetoric in which identification rather than persuasion is "key," is a discursive exchange in which "the various voices, mutually correcting one another, will lead toward a position better than any one singly." More to the point, the motive that propels the kind of discourse he envisions is more cooperative more than competitive: "one does not want merely to outwit the opponent, or to study him, one wants to be affected by him . . . --in brief, to learn from him" (284). But it is also fundamentally defensive. This is a variety of utopianism that does not invest hope in the efficacy of a particular ideology. Rather, it locates hope in the capacity of human beings to judge wisely and deliberately how they will interact with each other, and in the possibility that they might be taught the advantages of choosing to cooperate rather than to compete when they interact. In this utopia people choose a wary humility over ready hubris when they find themselves in conflict. Here people might learn to speak and write in ways that acknowledge the inherently partial and partisan character of their own fallible claims as conscientious objectors to the project of the rhetorical kill. But knowing that unless everyone chooses such renunciation, conscientious objectors are cast aside with a clear conscience and no capacity for influence, Burke asserts that people must learn to resist the forces of persuasion in order to judge and to choose for themselves. He recognizes that because the nature of language as well as human nature makes the cooperative utopia he envisions not possible, and presents his theory of identification in the form of an explication of the implicit and explicit elements of the persuasive appeals that people encounter in discursive interactions that he intends to enable people to defend themselves. This "new" rhetorical criticism exposes for explicit scrutiny and careful choice the usually implicit processes of identification that otherwise operate almost invisibly on those to whom an attempt to persuade is addressed. Teaching that kind of criticism seems to a pedagogical way toward support Burke's goal of purifying war. By investing his utopian hope in the project of teaching rhetorical criticism, Burke fits into a pattern observable in the changing emphases of rhetorical education in the West during recent centuries. This is only an impressionistic generalization, but here it is. As nations became increasingly self-governing schooling became more widely accessible, and as schooling became more widely accessible more attention in the rhetorical curriculum seems to have turned to the teaching of critical reception and response. Perhaps this is because common sense says that for a genuinely self-governing society to sustain itself, its citizens must be capable of choosing wisely from among the many and constant attempts that are made to persuade them to collective attitude and action. Of course, modern educational purposes have been for some time propelled by the forces of a labor market that requires competency training and professional credentialing, but even now some elements of a typical "general education" (those that stress "critical thinking," particularly) and even specialized training in some disciplines (political and cultural criticism in literary studies, for example) still address this civic need. In his essay on education, Burke picks up on that need explicitly by envisioning an education that is "primarily admonitory" in its purpose rather than simply "promissory" of the kind of "insignia" that enable students to "'get ahead' as individuals" ("LAPE" 271). As he argues, "nothing less than a very thorough training in the discounting of rhetorical persuasiveness can make a citizen truly free" ( 285). Indeed, just a year ago, in our own College English, this civic vision of education in writing and reading was articulated again by James L. Kastely who suggests that Burke's kind of "linguistically skeptical education would renew patriotism not so much by providing positive models but by pursuing an approach that . . . seeks to make new and sophisticated citizens by constituting them as critical audiences and speakers who are self-conscious . . . users of language" (323). And in doing so, we must do the work of rhetorical criticism. So how does all this fit into the writing classroom? In multiple places in his work Burke discusses identification in terms that suggest a teachable critical method. In his early Attitudes Toward History, he notes that it is "normal" to identify the self with "manifestations beyond" the self (263), that people require a "corporate identity" and are "enfeebled" when they avoid identifying themselves with collectives because identification is "the function of sociality" (266-7). Further, he describes the experience of sociality as one of shifting identifications: encountering "corruption" in a collective with which we identify, we tend not to give up on collectives altogether but, rather, to search for alternative identifications. Burke argues that the choice people face is not whether to identify butwhich identifications to accept. And he would have people make that process of choosing as fully conscious and openly accountable to those with whom they live and work as possible. People use language in social life and identification is unavoidable. But because we can learn to choose from among identifications, some instances of persuasion can be avoided. Persuasion, Burke writes in A Rhetoric of Motives, is enacted in a transformation of one's perception and attitude, and the elements of that process of transformation are identifications (46). Consequently, we should learn to defer consent to the transformations that would render a particular discursive act functionally persuasive by first locating the identifications it entails and then choosing from among them which ones to accept. In his essay on education this becomes a method that takes the form of two questions: "you begin by asking yourself 'what equals what in this text?' And then, next, you ask 'what follows what in this text?'" The first question, "what equals what," requires an examination of, in his terms, things like "what 'hero' is to equal " in a particular text, "what 'villain' is to equal, what 'wisdom' is to equal." Burke calls this mode of questioning a text a "study of equations" within it that, for a reader, enables "yielding without demoralization." This act of locating and understanding the identifications that a text presents ("even," Burke adds, "when a writer has no such intentions in mind") but then deferring their acceptance is a "yielding" because it "systematically let[s] the text have its full say, even beyond what the author may have thought he was saying . . ." (270), but the reader's consent to accept that "say" is withheld. That is why he describes this method of questioning as an approach to both texts and to "the human situation" that "makes methodical the attitude of patience" (271). However, eventually a reader must respond. Burke's second question--"what follows from what in this text?" --designates the second set of equations. But because he offers little explanation of this step I feel licensed to read "follows" as a term for consequence and effect. Given this reading, while a study of the first set of equations can expose the identifications--stated, implied, and inferred--that a text invites its readers to accept, a study of a second set could enable the reader to consider the effects that might follow from accepting each identification that is offered. In this same essay, Burke offers--in his usual, complicating way--other terms for this two-step method. He describes the first step as one of locating "all significant correlations" and the second as choosing how to respond to them(276); the first as a "formal" approach to the text and the second as a "doctrinal" one (286); the first as aesthetic, enacting "appreciation," while the second as rhetorical, enacting counter-assertion (290). And although Burke does not make this connection explicitly, I find his treatment of this second question suggesting a connection to another of his critical tools, the notion of the "representative anecdote" developed in A Grammar of Motives. In the Rhetoric Burke describes these two critical questions using the mathematical metaphor of "equations:" a reader begins by locating the identifications that a text both states and implies by asking "what equals what?" His earlier Grammar also uses mathematical terms when he describes the system of identifications that a text presents as "a given calculus" that "must be supple and complex enough to be representative of the subject matter it is designed to calculate. It must have scope, yet it must also possess simplicity, in that it is broadly a reduction of the subject matter" (60). In other words, a critical reader can judge the identifications--the equations--that would render a text persuasive by determining the extent to which together, as a system, they represent what the reader believes to be real or desirable. In still other words, a reader can counterbalance the claims of a text with an assessment of whether the concept they present corresponds with the reality he or she experiences or the ideal for which she or he hopes. To make that assessment, critical readers must check for a problem inherent in the use of language: in Burke's terms, even if people intentionally "seek for vocabularies that will be faithful reflections of reality, . . . they must develop vocabularies that are selections of reality" which, in turn, will function "as adeflection of reality." If that vocabulary--that set of equations, of identifications that a text presents to persuade a reader that it corresponds to reality-- "meets the needs of reflection, we can say that it has the necessary scope. In its selectivity, it is a reduction. Its scope and reduction become a deflection when the given terminology, or calculus, is not suited to the subject matter it is designed to calculate" (59). Essentially, he continues, "one should seek to select as representative anecdote, something sufficiently demarcated in character to make analysis possible, yet sufficiently complex in character to prevent the use of too few terms in its description" (324). For example, "if our theme were Ôcommunication,' we should seek to form our terms about some typical instance of communication, rather than selecting some purely physical mode, as a highway system or telegraphic network" (326). Though stated here in terms of rhetorical production, this insight operates as a critical tool that can enables the kind of patience that can lead to responses that counter the kill by enacting Burke's moral dictum that "the progress of humane enlightenment can go no further than in picturing people not as vicious but as mistaken"--indeed, "necessarilymistaken" as their "every insight" must, because of the nature of language, contain "its own special kind of blindness" (ATH 41). As a teacher, I am interested in using some version of this method to integrate the acts of reading and writing--to render student writing an act of discursive response to the texts that they read. I am interested in using Burke's insights into the persuasive function of the processes of identification to prompt readers to write in ways that counter the intentions of texts they read in ways that enable them, and those who read with them, to choose whether those texts are persuasive. It seems to me that Burke's method of locating the appeals to identification that a text presents to enable a reader to assess more fully its intention, and then of judging the extent to which that intention represents a reality or ideality to which that reader can consent to enable a critical discursive response, suggests the shape of a pedagogy that embeds writing in reading and reading in writing and, as it does so, holds writers and readers alike accountable for what "follows." And that last is something important that I think we should teach. Burke, Kenneth. Attitudes Toward History, 3rd ed. U of California Press, 1984. ---. A Grammar of Motives. U of California Press, 1969. ---. "Linguistic Approach to Problems of Education," 259-202. Modern Philosophy and Education, ed. Nelson B. Henry. ---. "Rhetoric--Old and New," 59-76. New Rhetorics, ed., Martin Steinmann. Scribners, 1967. ---. A Rhetoric of Motives, U of California Press, 1969. Kastely, James. "Kenneth Burke's Comic Rejoinder to the Cult of Empire," College English (March 1996): 307-326..
Oravec, Christine. "Kenneth Burke's Concept of Association and the Complexity of Identity," 174-185. 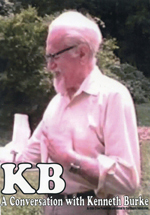 The Legacy of Kenneth Burke, ed, Herbert W. Simons and Trevor Melia. U of Wisconsin Press, 1989. Rueckert, William. Encounters with Kenneth Burke, U of Illinois Press, 1994, p.75.